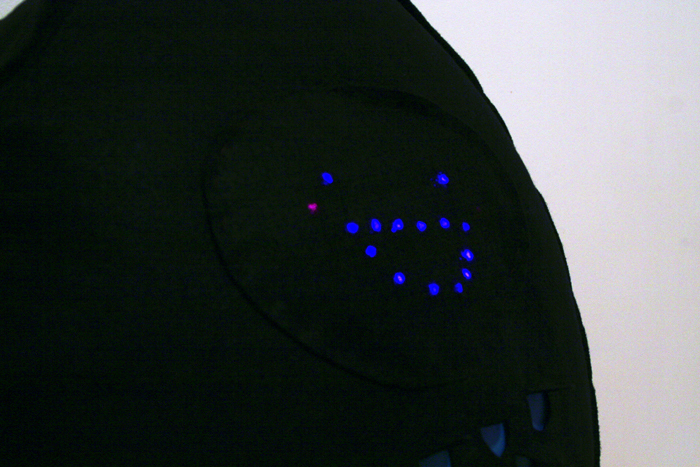 Embedded with an LED display, the Pillobot is a soft, huggable networked pillow that expresses emotions. A shorthand message such as “love” or “smile” can be sent to the pillow via email. The message is then displayed as an LED emoticon. As communication is (or should be) a two-way road, a “Hug” message can be sent back by giving the pillow a generous squeeze. I think with a more sophisticated LED display and better design, Pillobot would be a great experience for kids in hospitals or with a long distance parent. Check out the project blogfor more info.